Consumer Financial Protection Bureau (CFPB) Director Richard Cordray is showing little sympathy for companies that may be behind the curve in preparing for what many have called a sea change in the way mortgage transactions are conducted — even while legislators and industry trade groups are urging the CFPB to exercise restraint in its enforcement of the Aug. 1, 2015, effective date of the TILA-RESPA Integrated Disclosure (TRID) rule. Finalized and rolled out in November 2013 — after a long rule-making process and industry comment period — the TRID rule seeks to streamline the use and language of the Truth in Lending Act (TILA) and Real Estate Settlement Procedures Act (RESPA) forms that lenders have provided to consumers applying for mortgage loans for more than 30 years by integrating the Good Faith Estimate (GFE) and initial TILA disclosure into one form, the Loan Estimate, which must be must be delivered three days after receiving a consumer’s application. The rule also combines the HUD-1 and final TILA disclosure into another form, the Closing Disclosure, which must be provided to consumers at least three business days before the consummation of the loan. Richard Cordray. Image courtesy of Flickr. In the last year and a half, title insurance and closing agents, mortgage brokers, Realtors and others have been working with their lender partners, whom the CFPB will hold responsible for complying with the rule, to prepare for use of the new forms and the changes to the traditional mortgage acquisition process. This process will not only require changes to internal operations and procedures, but also to the technology platforms used by all settlement parties, and many companies and trade groups have raised concerns that the technology needed to complete the forms and comply with the rule will not be deployed, integrated across different company platforms and properly tested by the Aug. 1 effective date by some market players, particularly small community or regional banks and credit unions that were only able to begin dedicating resources to the preparation efforts around the first of this year. 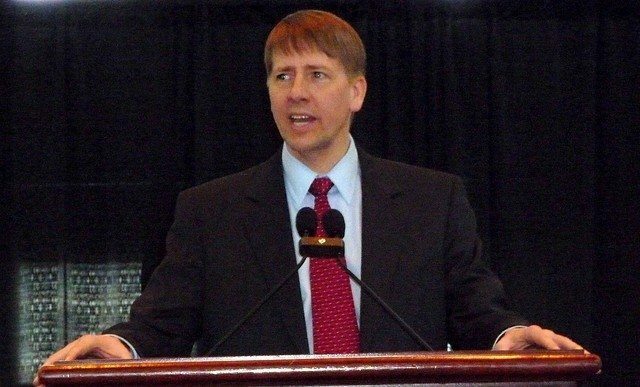 “We’ll see how it transpires, but people have had a long time on this,” Cordray responded, noting that the CFPB has conducted several webinars, issued plain-language compliance guides and responded to questions posed early by the industry. Indeed, the CFPB has openly admitted that the rule, despite its exhaustive 1,800 pages, cannot possibly predict all of the specific practical issues that may be created by the new forms and deadlines. The bureau has pledged to address the most frequently asked questions in the first few months following the effective date. The CFPB has created a resource center on its website that contains compliance guides, integrated disclosure forms and samples, and a series of webinars to address implementation. The bureau also will field industry comments and questions emailed to CFPB_MortgageRulesImplementation@cfpb.gov. Meanwhile, ALTA, along with the National Association of Realtors and the Mortgage Bankers Association, are hosting five regional RESPA-TILA Integration Forums led by a panel of legal, title, technology and operation experts. The remaining forums will be held March 26 in Chicago and April 16 in Washington, D.C.